I am very excited about these two upcoming releases, you guys. Instead of getting a third installment in Patricia Briggs' Alpha and Omega series this year, we're being treated to something different and new. Masques was first published fifteen years ago and it is Ms. Briggs' first novel. It is also the first in a series (of sorts) called the Sianim series, which includes previously published books Steal the Dragon and When Demons Walk . These are self-contained standalone novels that take place in the same world. 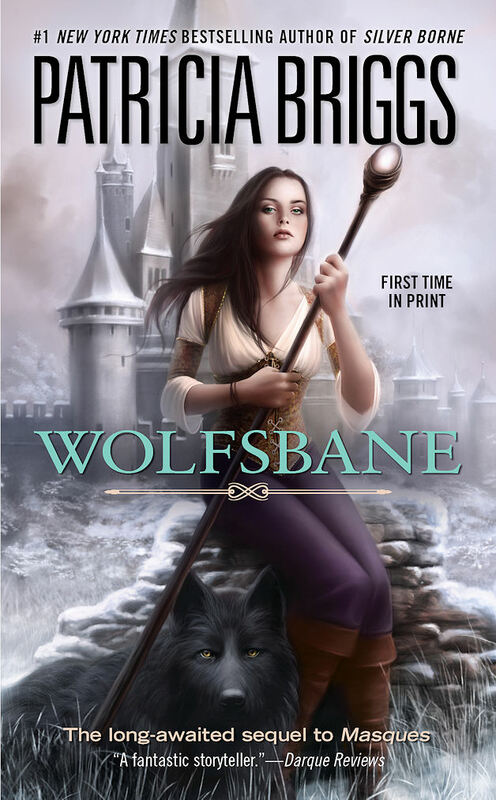 The direct sequel--Wolfsbane --was written but never published. Until now, that is. 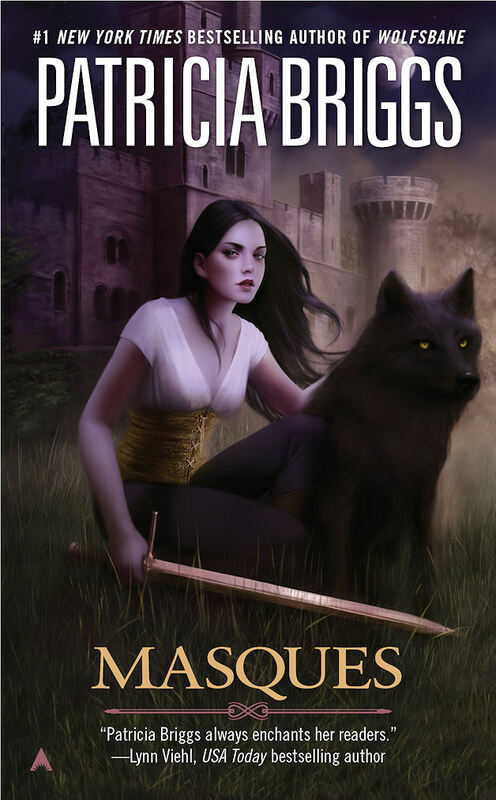 This fall we get a repackaged, revised edition of Masques September 28th. And then, in November, we get Wolfsbane for the first time in print. And these are the new covers. All I know is that the books involve shapeshifters and a character named Wolf. Sign me up! Pretty, pretty! I am pumped for these books - I need to go ahead and read her backlist. So many intriguing titles! I've been intrigued by these books since hearing this news on her site a while back. Outside of her two newer urban fantasy series, I haven't read much of her work. I'm loving these two cover though! I’m a huge fan of Patricia Briggs. I will definitely read these when they’re released. I'm excited to read these books - so far I've loved everything Briggs has written! I love the re-issue/new covers too! Those covers are awesome. Can't wait to sample these also. Oooh so pretty! I'll be interested in getting these when they do come out. Steal the Dragon and When Demons Walk were the 2nd and 3rd books I ever read from Patricia Briggs. The Hob's Bargain was the first. I am totally excited for these books to come out! Her fantasy novels are a bit different than the Mercy Thompson and Alpha and Omega series but they are still extremely well written...exactly what I always expect from her. I'm really looking forward to these - and so cool to see the covers at last. I have the other two Sianim books, but being a purist about reading in order, I somehow never quite started because I knew there was a first one I couldn't get hold of. I'm not looking forward to the entire series. Michelle, I know. I read DRAGON BONES awhile back and it was good, but I had a feeling the sequel would be even better. But it's been checked out at the library for ages upon ages. I need to just go buy it already. Jacqueline, yes. I think these will jumpstart my reading of her backlist. I've heard THE HOB'S BARGAIN is particularly good. Elisa, I know. Don't they look gooood? Christie, she's just great. Her writing never fails to please me. BookRants, it's hard to say because it looks like these two will combine elements of her shifters books and her fantasy. So it will be fascinating to see what they're like. LMPreston, they really are. I love her outfit. Chachic, yup. I want to meet that wolf. 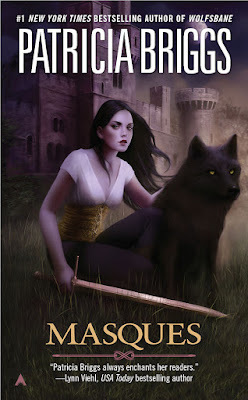 Misti, which is your favorite of her fantasy novels out of curiosity? Kerry, oh, I completely understand. When I read that I was like, good thing I didn't start those others! lol. K, ooh, that is very good to hear. I can't wait. These are so pretty. Do you know who the artist is? Angie-I think I would have to say The Hob's Bargain is my favorite just because I adore the Hob. He is a great character. And his tail! I'll just leave it at that. You should read it. Oh wowzas. I love those covers. I'm not really into her Mercy series anymore, but I'm still interested in some of her past books, so these look perfect to try. I wonder who the cover artist is.